At Google I/O recently, we announced that Dialogflow has been adopted by more than half a million developers, and that number is growing rapidly. We also released new features that make it easier for enterprises to create, maintain, and improve a vibrant conversational experience powered by AI: versions and environments, an improved history tool for easier debugging, and support for training models with negative examples. Dialogflow’s new versions and environments feature gives enterprises a familiar approach for building, testing, deploying, and iterating conversational interfaces. 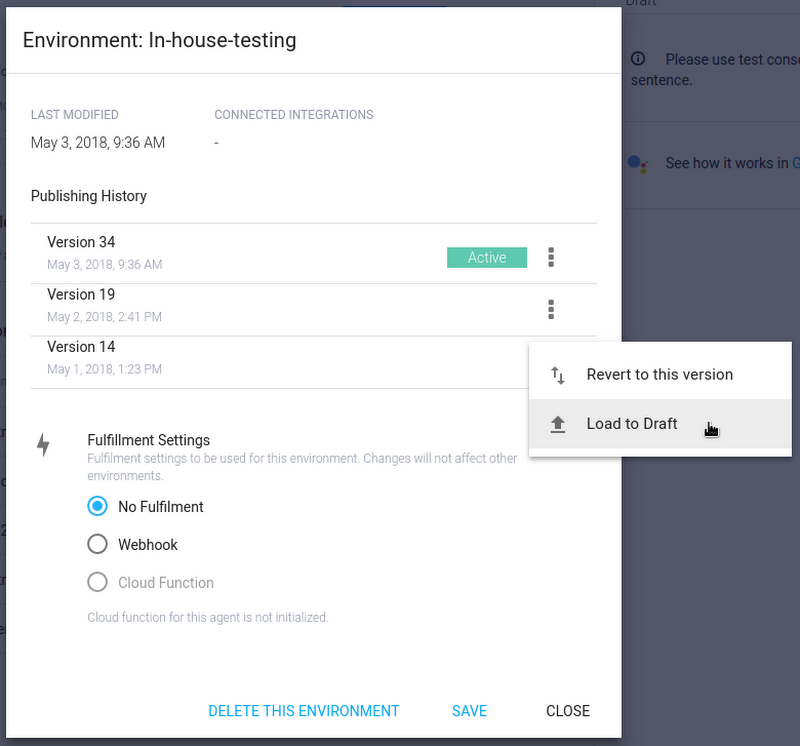 Using this beta feature, you can deploy multiple versions of agents (which represent the conversational interface of your application, device, or bot in Dialogflow) to separate, customizable environments, giving you more control over how new features are built, tested, and deployed. For example, you may want to maintain one version of your agent in production and another in your development environment, do quality assurance on a version that contains just a subset of features, or develop different draft versions of your agent at the same time. 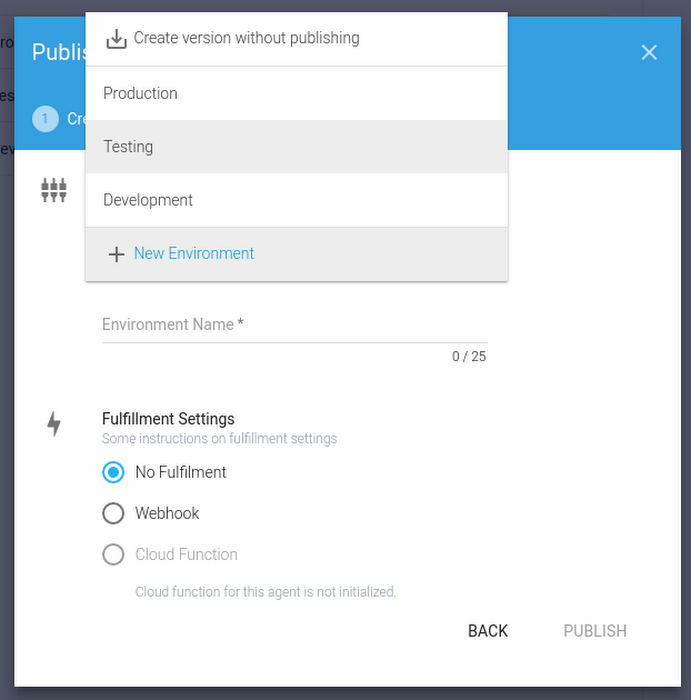 You can publish your agent either to Google Assistant production or to the Action Console's Alpha and Beta testing environments. You can even invite and manage testers of your digital agents—up to 20 for Alpha releases, and up to 200 for Beta releases! Get started right away: Explore this tutorial to learn more about how to activate and use versions and environments in Dialogflow. Dialogflow’s history tool now cleanly displays conversations between your users and your agent, and flags places where your agent was unable to match an intent. It also links to diagnostics via new integration with Google Stackdriver Logging so you can easily diagnose and quickly fix performance issues. We’ve also expanded the diagnostic information shown in the test console, so you can see the raw request being sent to your fulfillment webhook as well as the response. It can be frustrating for end-users when certain phrases trigger unwanted intents. To improve your digital agent’s precision, you can now add negative examples as training phrases for fallback intents. For example, by providing the negative example “Buy bus ticket to San Francisco” in the Default Fallback Intent for an agent that only books flights, instead of classifying that request as a purchase intent for an airplane ticket, the agent will respond by clarifying which method of transportation is supported. 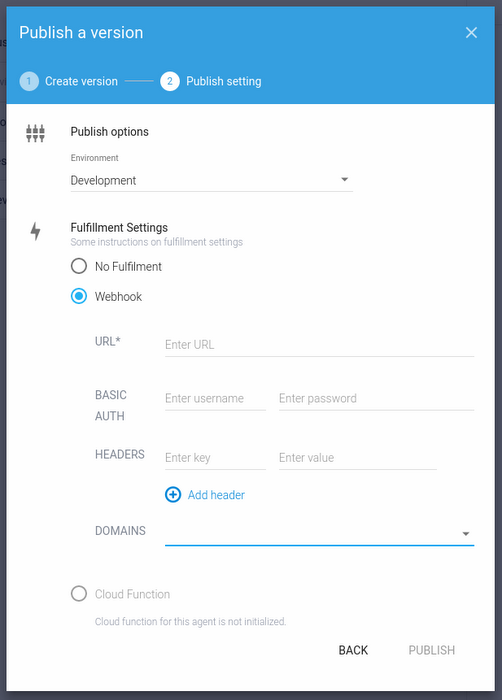 See the quickstart to set up a Google Cloud Platform project and quickly create a digital agent with Dialogflow Enterprise Edition. Remember, you get a $300 free credit to get started with any GCP product (good for 12 months).